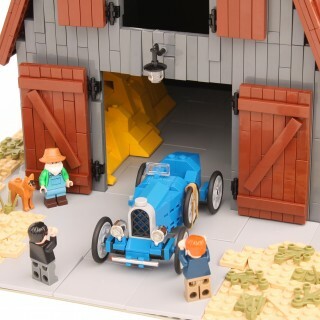 LEGO is about as ubiquitous as a toy can get. 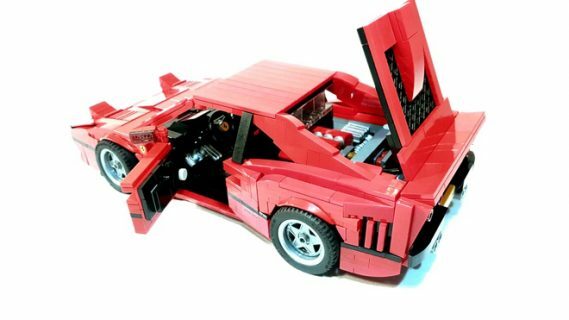 Everyone has either had LEGOs, played with them, or has at least had the special misfortune of stepping barefoot onto a straggling piece hiding in the otherwise inviting carpet. And so while we’ve all surely spent some time bricking around miniaturizing the world around us—or else just putting all the “cool” pieces together and calling the resulting mess a “spaceship”—some builders’ creations blur the line between playing and engineering. 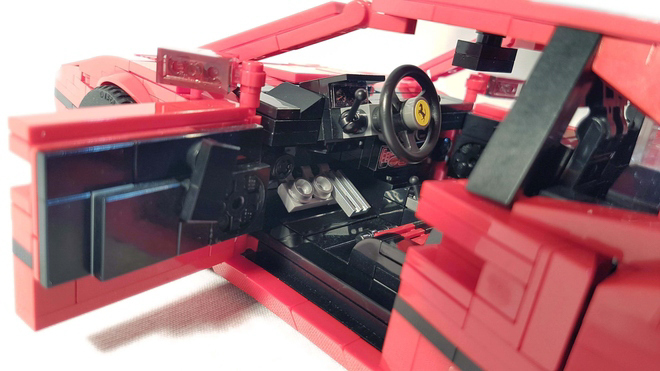 With so many official sets having been released to-date, the range of available pieces has long ago transcended the typical rectangles and other shapes with solely 90° angles. 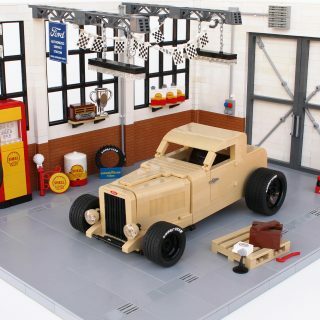 As this already wide selection of building components continues to grow, we are seeing more and more artists utilizing these pieces to create ever more faithful replicas of real world architecture, notable scenes from history, futuristic cityscapes, and of course, cars. 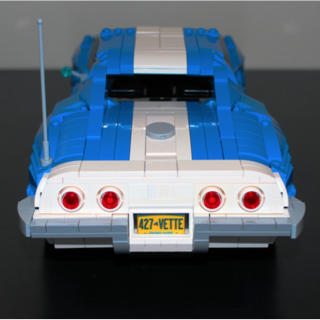 If you saw the MOONEYES garage we recently featured, you’ll be familiar with the extensive accuracy and fanatic inclusion of details that make up some of the better builds out there. 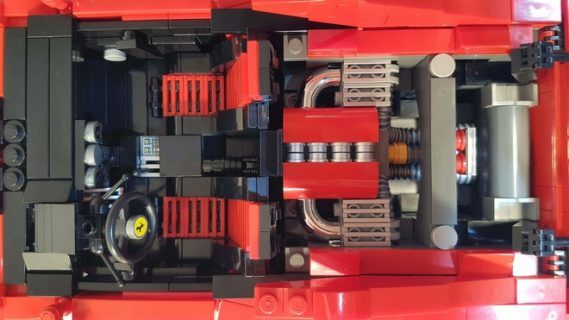 The most interesting aspect of these custom LEGO sets has to do with limitations; how can this object that exists in life or in my head be faithfully realized using only the pieces available from previous lego sets? 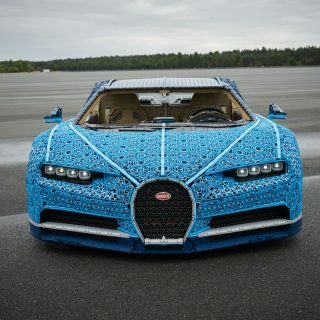 The inherent challenge and the often stunning result of undertaking it is a testament to human ingenuity, but more than that melodrama, it’s just cool. 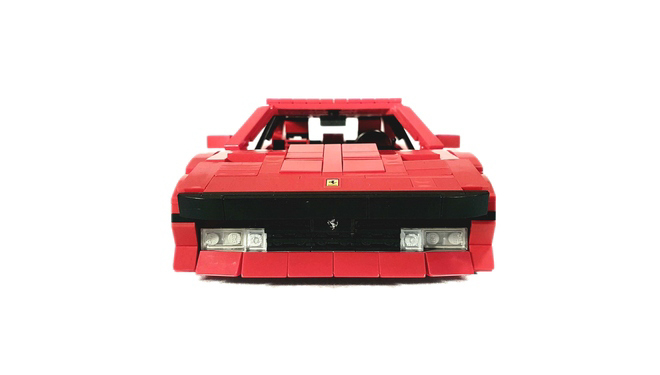 Two such examples of this imagination actualization can be found in these classic Ferrari builds. Both are in the proposal stage looking for support, hoping to be turned into officially sanctioned and produced sets in the future. 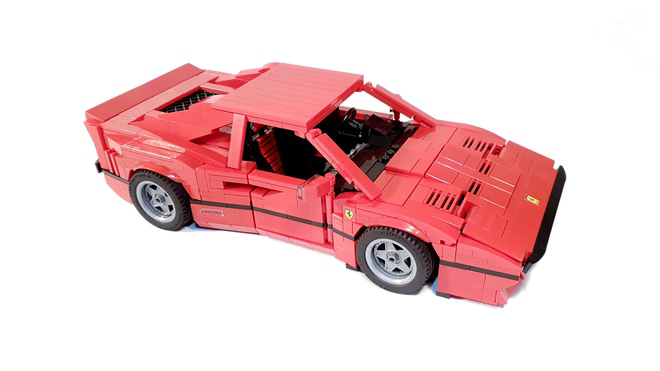 You can vote for the 288 GTO and the 512S here, and here, respectively. 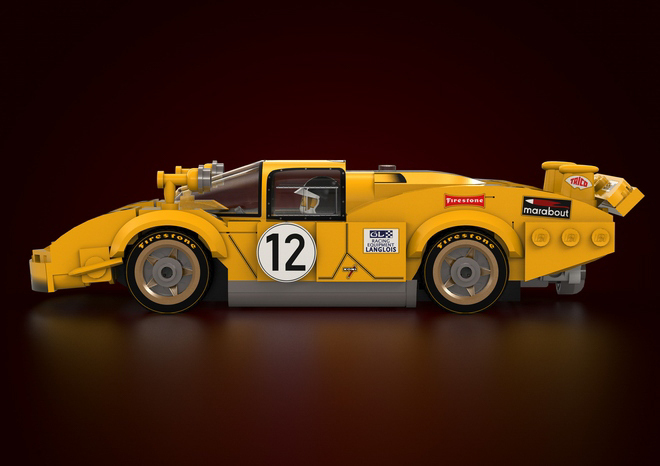 First up, the Group B homologation Ferrari that never saw the circuits it was intended for: the twin-turbocharged 288 GTO. 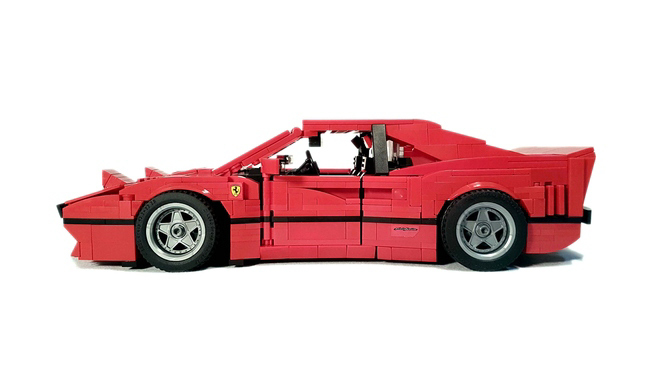 Resembling it’s older brothers the 308 and 328 only in silhouette, the 288’s stretched fenders and angular wings and venting were unabashedly aggressive, and when combined with the aforementioned turbochargers, lightweight construction, and a hyper-advanced-for-its-time adjustable-height suspension, this was truly a step into a new generation for the Italian carmaker. 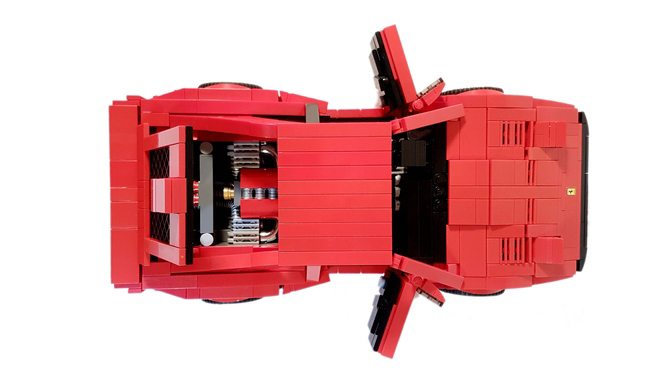 The brickified version of this supercar also has a few mechanical tricks up its sleeve. 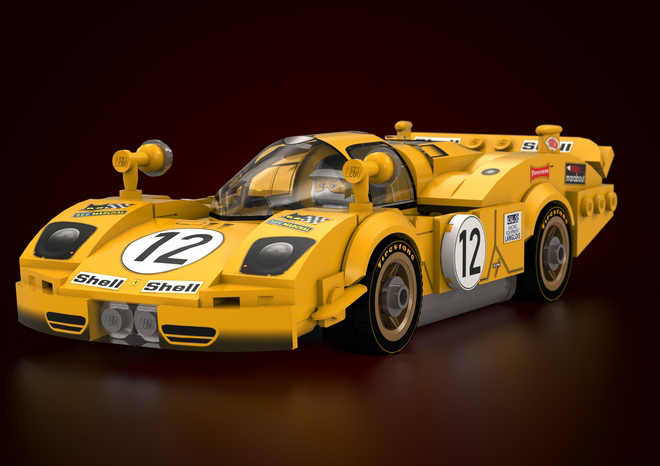 For one, the extremely dated but still exceedingly cool pop-up headlights can be articulated between the flush “down” position and the very aerodynamic “up” configuration as well. 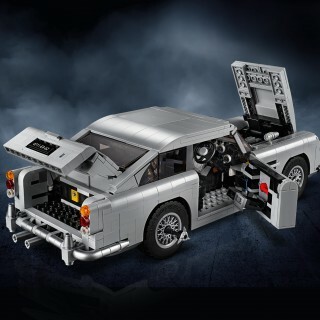 And get this, the lifting and lowering mechanism actually works via a button under the dash! This level of detail and dedication is found throughout the car, with touches like the horizontally striped seats, a cooling-finned differential on the underside, and a removable hood underneath which sits a pretty damn accurate longitudinally-mounted twin-turbo V8 motor (with red valve covers of course). 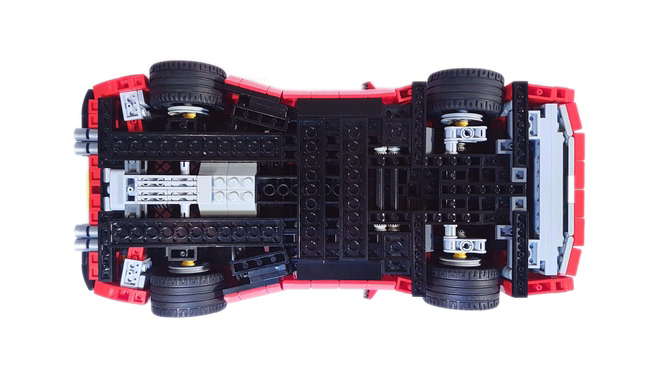 With so many people building cars with LEGOs these days, it’s great to find examples like this one that aren’t full of harsh angles and compromised styling cues: there’s “Good job,” and then there’s this. 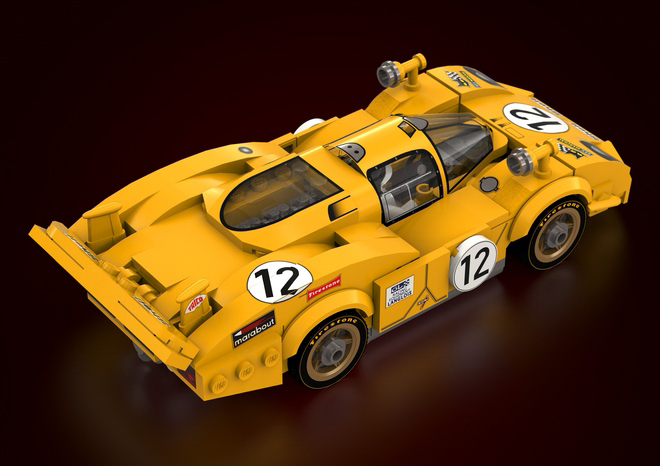 Going a bit further back in Ferrari’s timeline, we come to the 512S. 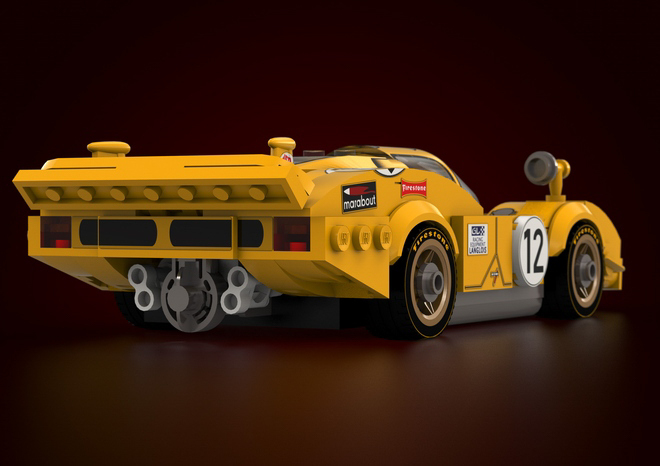 The 5-liter V12 race car designed to race against the likes of the mighty 917 at the even mightier Le Mans didn’t prove to be as successful as it’s German rival, though it was by no means a pushover either. 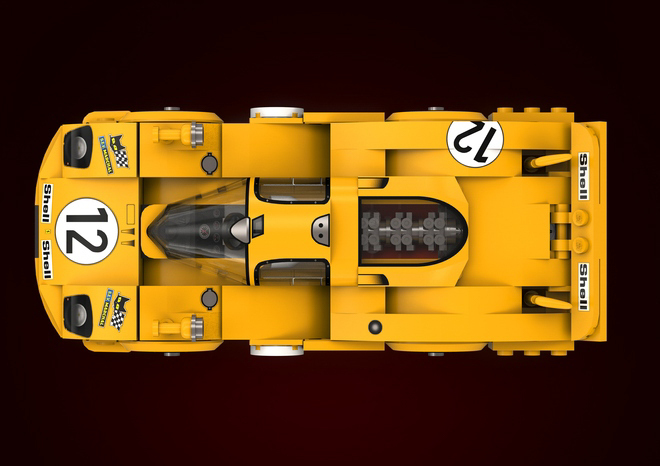 And with looks that blended sumptuous curves with brutally functional and somewhat anachronistic-looking scoops and wings, it is arguably a more interesting car to look at than a 917. 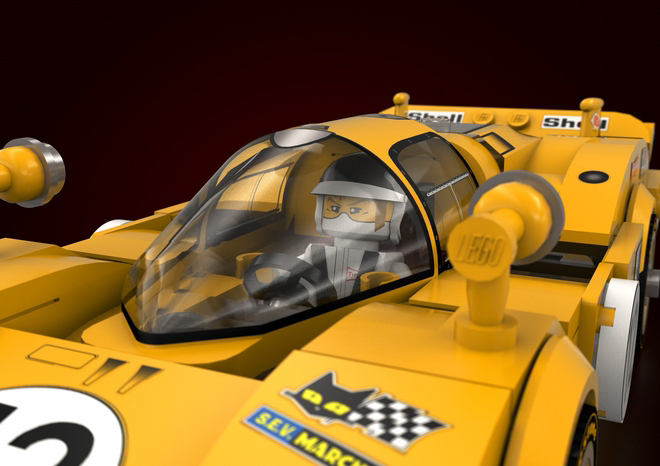 In this LEGO recreation of the 1970 24 Hours of Le Mans 5th place finisher, it seems like there is something custom going on with the cockpit bubble, but otherwise it appears that the build uses only regularly available pieces to make this stunningly accurate replica. 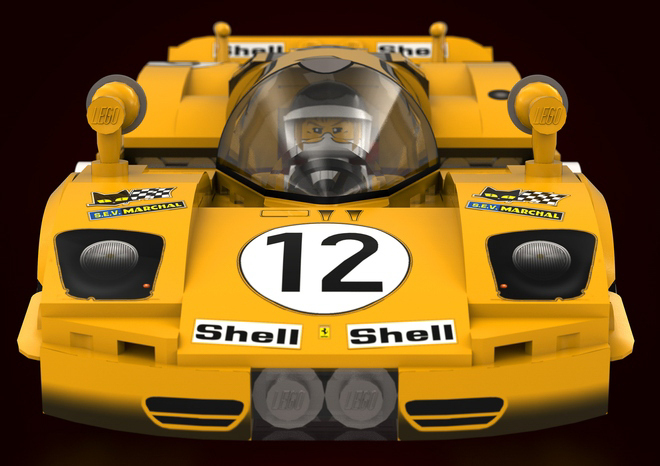 The spot-on decals only add a further dimension of reality to the LEGO version of the #12 car of the Belgian Ecurie Francorchamps racing team. 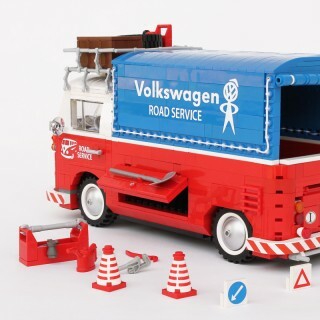 So maybe this weekend is a good one to go dig out the old storage container of plastic rectangles, and if you find yourself in a daze on Sunday night with a rendition of your favorite vintage car sitting amongst a pile of pieces, please, let us know! I already have the F40 LEGO. 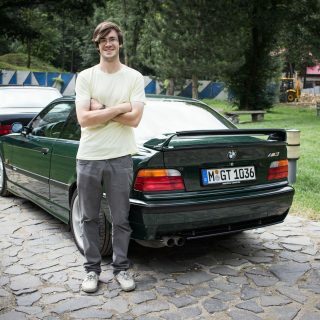 I love how realistic everything is, even the turbos.